Book a cabin onboard Vasco da Gama’s local cruises and the second passenger travels for FREE*. 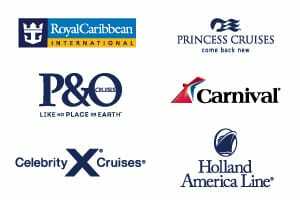 Please note that whilst we are working with CMV to obtain online reservation capabilities, all Cruise and Maritime Voyages bookings must be completed via our expert reservation team members. PLEASE CONTACT US FOR THE BEST PRICES. View Second Passenger Travels Free* cruises below, find more options on our Cruise & Maritime Voyages page, use our Cruise Finder to locate your perfect cruise, or view all other Cruise Deals. *Terms and conditions apply. Prices shown are per person, twin share in AUD inclusive of all discounts, taxes & fees. Prices are as categories as specified. Prices are subject to change and availability. Once the lead in stateroom is sold out, prices may increase to a higher fare, or be withdrawn without notice. Cruise line offers are valid for new bookings only and are not combinable with any other offer. Oceanview staterooms and balcony staterooms may have obstructed views. Discounted fare will reflect in the final booking screen. Offers are not combinable with any other offer unless otherwise stated. Sailing itinerary may vary from what is shown. Itinerary changes are at cruise lines discretion. All offers are subject to availability and may be withdrawn at any time without notice. Cruise Guru reserves the right to correct any errors inaccuracies or omissions and to change offers, fares and surcharges at any time without notice. Additional surcharges will apply to dining reservations made at any of the ship's specialty restaurants. Some onboard entertainment will have a participation charge, please contact guest services on board for full details. Credit card fees are not charged for deposit payments via Visa or MasterCard. Final payments will incur a 1.3% merchant fee via Visa or Mastercard. American Express incurs a 2% merchant fee for both deposits and final payments. Buy one get one free promotion is valid until 30 Apr 19 and is subject to availability. Prices shown are passenger one prices including all offer discounts and savings based upon a twin share cabin with the second passenger travelling for free. Prices are subject to availability. Prices are current as of 11 March 2019. Availability is not live and requires a call to 13 13 03 to book your cabin.